It is not exactly a cute animal species but they are often underestimated: spiders. Yet spiders are special creatures. Even if it was only their appearance or their usefulness. In Basisgids Spinnen, the 70 common types are highlighted from all sides. Think of the ordinary house spider, the beautiful spitting spider up to the cross spider that you have probably encountered in your backyard. In contrast to identification guides, the focus of Basisgids Spinnen is more on determining general species than on specific distinctions. And that makes it a good entry model. 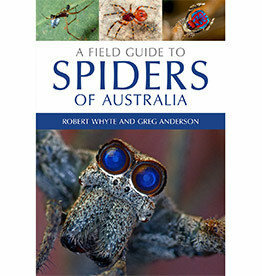 You will of course find all sorts of useful information during the determination at home or in the field, including general information about the physique of spiders, the variety of lifestyles and about the observation and recognition of spiders. 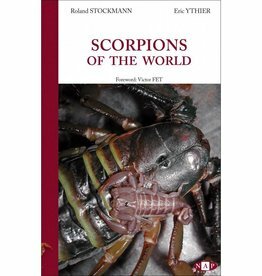 Basisgids Spinnen offers a lot of reading pleasure for everyone who is interested in these fascinating arthropods. Maybe it helps you to overcome your fears. Basisgids Spinnen is ideal to take outside and is very suitable for children, beginners but also for advanced hobbyists. Caroline Elfferich studied biology in Leiden. She has a broad interest in nature and likes to share her knowledge with others. For the magazine Natura she wrote a series of stories about spiders in her own living environment. Spiders are the most obvious group of animals - they share with us our houses and gardens. They also have some of the most fascinating colours, behaviour and biology. 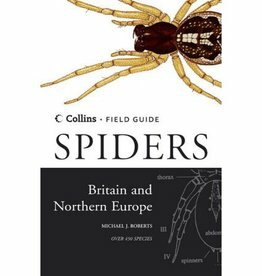 Britain’s Spiders is a photographic guide to all 37 of the British families, focussing on spiders that can be identified in the field. 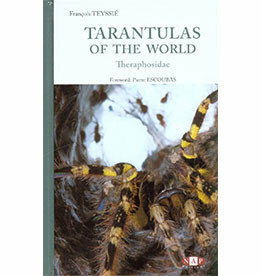 Tarantulas of the World describes and illustrates almost 300 species of tarantulas of the Theraphosidae family by biogeographical zone.